A2 Hosting is one of the popular web hosting providers, offering reliable hosting for Individual and Business website from shared unix hosting to manage dedicated servers. A2Hosting has launches their New Community Site. Visit it at: http://community.a2hosting.com/a2hosting. A2Hosting forum is open for everyone which is designed for those who is currently using A2hosting web hosting to host their website and would like to share ideas or give suggestion of the features. The topic discussion can be anything about A2hosting hosting of their services, features, and also their technical support. You also can view others ideas and vote for the best ones. If you having any problem on using their A2hosting service, you may also report a problem on the forum. Just ask the community a question about anything of A2hosting that you would like to know. You may also view the server maintenance updates and check for your server status. Tired looking for phpbb hosting plan? And can’t find a budget hosting plan that suite your requirement? PhpBB forum scripts are both powerful and reliable, its a widely use forum script beside smf and vbulletin forum script. At this a2 hosting review, we will look into setting up phpbb forum at a2 shared hosting plan, and perform some demo test run to test out their hosting package for phpbb compatibility. From a2hosting cpanel fantastico, you can choose the phpbb script to install. Once you have the phpbb forum setup here, you can visit the forum site instantly. The whole process took less than 5 minutes to setup forum at subfolder directory. phpbb forum script are fully supported by a2hosting with cpanel. Visiting the real site and also the admin control panel, reveal the true potential to use a2 hosting for phpbb forum hosting. The server is fast, and the forum site open in reasonable time as well. A2hosting offering wide range of web hosting services and web hosting server, from shared hosting to reseller hosting, vps hosting, and follow by dedicated servers. Everything you need can be found here! A2hosting have their own community forum website too. 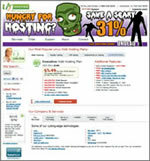 I pay them a visit today at this URL: http://forums.a2hosting.com. A2hosting forum is a new forum site, with not more than 350 members as for today. The topic of discussion in this a2 hosting forum is quit limited to web design talk, a2hosting talk, and cpanel or whm talk. There were another section that is used for maintenance and outages information posting, you can check for your server status here. First of all, a2 hosting shared hosting plan is a linux web hosting plan that have very low limitation, and allows you to host any php script which also including a forum script; phpbb or vbulletin or smf forum script. From a2 hosting cpanel control panel, you can browse to fantastico, and inside you will find the forum script: phpbb and smf script to choose from. Click on the forum script that you prefer and want to setup. Complete your setup process and your first forum site will running. Its simple as that, starting and hosting your first forum website is just a few clicks away. Furthermore, a2hosting allows you to host unlimited websites, and this means you can have more than one forum site running at your a2hosting account. If in future when you require more server processing and faster loading time for your fast growing forum site, its an option for you to upgrade to a2 hosting vps hosting, semi-dedicated server, or even a dedicated server that will offer wide range of processing power for your forum site.